I once asked Santa to help me look like my dad when I grew up, so this photo of a kid wearing a fake beard and an Auburn hat because his dad wears a beard an an Auburn hat really resonates with me. 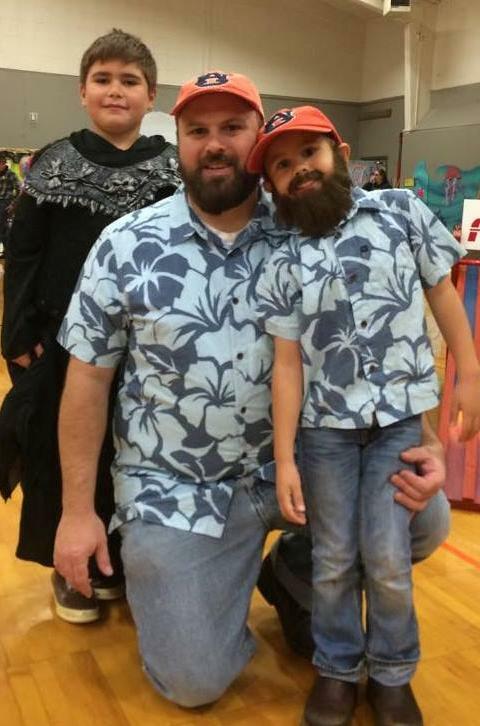 It was posted yesterday on Reddit by user brookatthebeach, who wrote “My son wanted to be dad for Halloween, I nixed his request to shave the top of his head bald & we went with matching hats instead.” The photo has since been upvoted nearly 4,000 times. Best I can make out from the comment threads, I think dad is Auburn grad, class of ’97. Anyone know who it is? The last Auburn thing that took off this fast on Reddit was the Foy Help Desk phone number. That was fun. Related: Kristi and Kenzie Malzahn’s recipe for the perfect Gus Malzahn costume.